Siteimprove stellt qualitativ hochwertige Tools für Websitemanagement bereit; Quality Assurance, Accessibility, SEO und Analytics. Websites need to be just as accessible as ATMs, elevators, terminals and other user interfaces. Why Nudge.ai? Reach out to the decision makers at Siteimprove with a personalized email - let them know that you found their recent news mention interesting. Nudge.ai’s relationship intelligence platform can help you find the right executive to reach out to at Siteimprove, such as Mike Cart, Managing Director, or Joey Myers, Sr. Manager, Manufacturing Marketing. Then get in touch and start a conversation. Executives can be difficult to reach, but every company has connectors who bring together people and ideas. 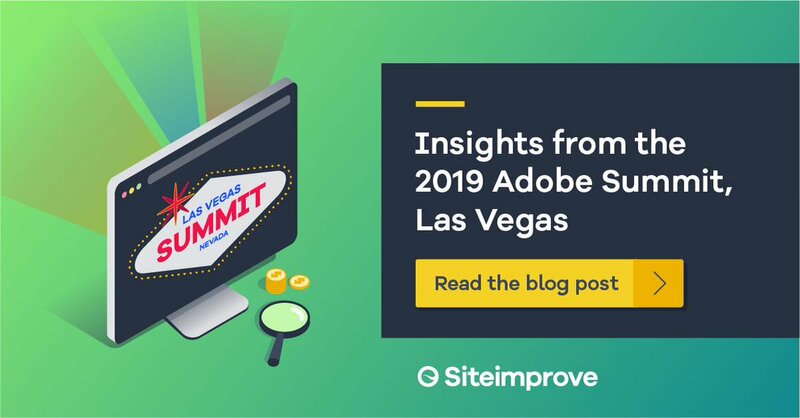 At Siteimprove, people like Jordan Browne, and Mike Cart are likely connectors. When Siteimprove is mentioned in the news, companies such as Cvent, Spredfast, and Demandbase are often also mentioned. These companies can serve as customer examples. Who in your network can introduce you to Siteimprove? Nudge.ai finds the best pathway to reach contacts at this company.